The human brain is especially skilled at extracting information from visual data. However, it is limited to doing this in three or fewer dimensions—and many of our everyday challenges have more than three dimensions. For example, our career choices take into account a wide variety of variables: our interests, our abilities, where we want to live, the employment market, and more. How can we visualize problems that involve many dimensions? This is the question that topological data analysis (TDA) seeks to answer. Every data set has an inherent structure that can be expressed through a visualization, and this visualization can give us insight to the information contained within it. One year ago, I moved out of Alabama for the first time and quickly realized that I would not be able to keep banking at the local credit union where I opened an account when I was a kid. As I began searching for another bank, I discovered that there was no hub for banking information that took into account the consumer’s experience. 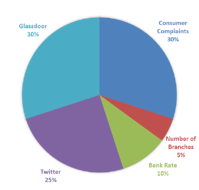 Several online rating systems focus primarily on metrics such as the interest rate offered by the bank. However, with current interest rates near zero, income from checking account interest amounts to only a couple dollars each year. Why would a consumer make such a large decision based on this small amount of money? Let us start out with a hypothetical scenario: suppose that you are a salesperson. You work for a data company (Congratulations! I hear the field is booming) and starting Monday, you will embark on a cross-country, multi-city sales trip. While you enjoy the boardroom bustle of Manhattan and the arm twisting in Dallas, you need to be back home before your tennis match back home on Saturday. Therefore, you have one main thought before you leave: what is the shortest travel route that will take you to all of your client sites then back home by the weekend? Last summer, the news swarmed with updates about the Ebola outbreak occurring in West Africa. The outbreak quickly escalated, highlighting the need for quick medical responses. Along with these medical responses came testimonies of how disease modeling helps alleviate outbreaks and save lives. In the latest Ebola outbreak, Guinea, Liberia, and Sierra Leone were the most strongly affected. Notably, Sierra Leone had the most severe outbreak, were officials observed a peak of 500-650 new cases each week. 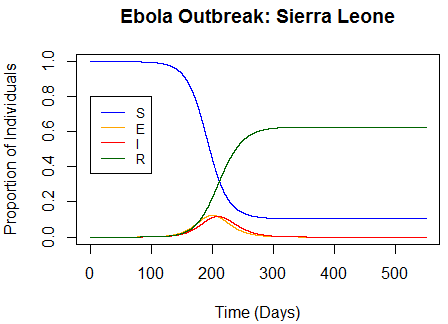 Because of its severity, I chose to model the outbreak in Sierra Leone and explore how disease modeling parameters work. For sports fans, this is a great time to be alive. We’re entering an age where data analytics is revolutionizing the way we see sports. 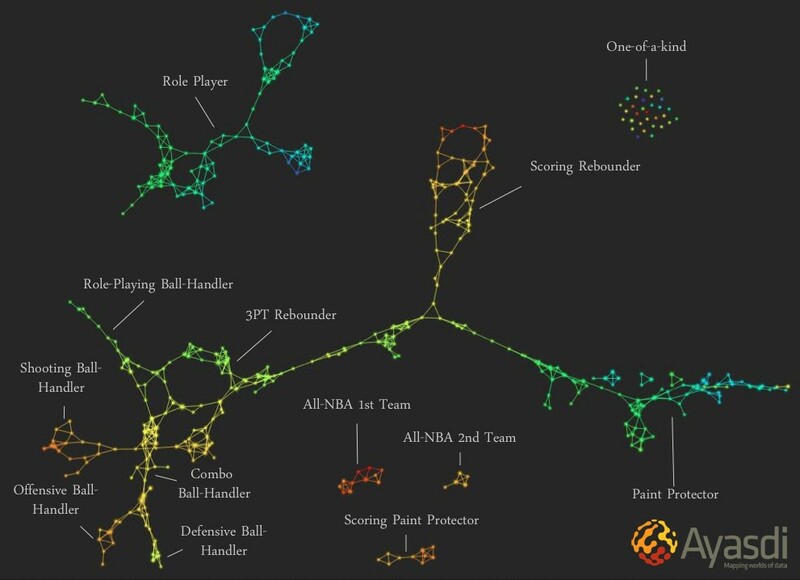 A perfect example is basketball, where the NBA now collects spatial data on player and shot locations on the court. This data can be used to create shot charts, which show where shots are taken and how successfully. A single shot chart can tell a story about a player’s shooting tendencies, strengths, and weaknesses.